"While here, we have learning to gain, work to do, service to give. We are here with a marvelous inheritance, a divine endowment. 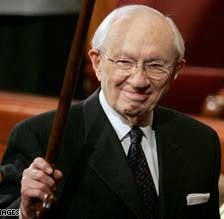 How different this world would be if every person realized that all of his actions have eternal consequences. 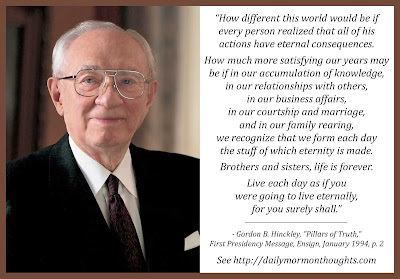 How much more satisfying our years may be if in our accumulation of knowledge, in our relationships with others, in our business affairs, in our courtship and marriage, and in our family rearing, we recognize that we form each day the stuff of which eternity is made. Brothers and sisters, life is forever. Live each day as if you were going to live eternally, for you surely shall." I love President Hinckley's powerful and ringing testimony: "Life is a mission, not just the sputtering of a candle between a chance lighting and a gust of wind that blows it out forever." He believed with all his heart that there is meaning and purpose to our mortal existence, directed by a divine power, a loving Father. So we need to fill our life with learning, work, and service. Each day of our mortal life points us towards eternity. The actions and decisions we make have profound significance. 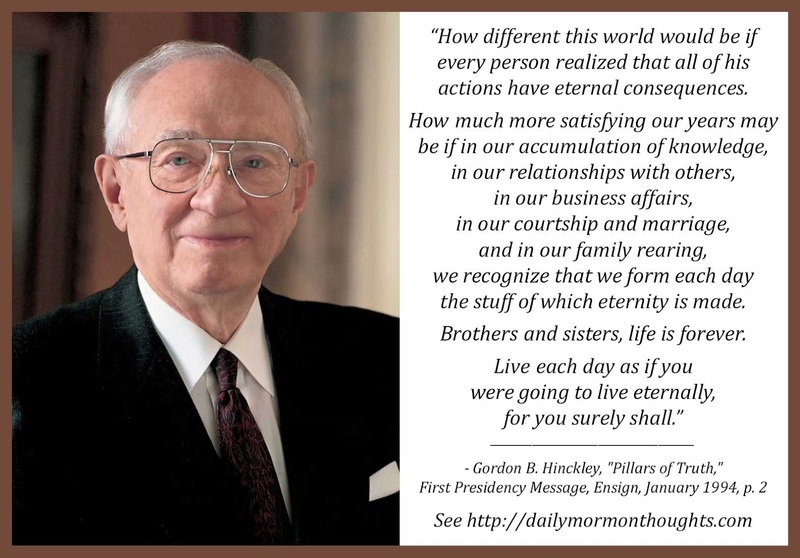 "Live each day as if you were going to live eternally, for you surely shall."